Ted Spraker was appointed to the Board of Game by Governor Murkowski in 2003. Ted resides in Soldotna, Alaska. He completed his college education at the University of Wyoming earning a bachelor's degree in Wildlife Management and Master's in Range Management. Ted moved to Alaska in 1973. He is a career biologist, having worked briefly with the U.S. Fish and Wildlife Service and for nearly 30 years with the Alaska Department of Fish and Game, Ted worked in Anchorage and Glennallen ultimately retiring as the Area Wildlife Biologist for the Kenai Peninsula. Ted is a member of the Alaska Trappers Association, Safari Club International, 4-H Shooting Sports Instructor and a lifetime member of NRA. He is an avid hunter, trapper and fisherman. Ted and wife Elaina have three adult children, and dedicate much of their time to youth firearm safety and educational hunting programs. Nate Turner was appointed to the Board of Game by Governor Parnell in 2010. Nate has been a resident of Alaska in the Kantishna River and Nowitna River areas for over 25 years. Working with other family members, Nate and his wife Cathy and four young sons have lived a remote subsistence lifestyle through trapping, commercial and subsistence fishing, big game guiding, and log cabin building. He was born and raised on a dairy farm in upstate New York and came to Alaska with his father Mike in 1989 as the result of an advertisement in Fur-Fish & Game magazine – ‘Trapline For Sale in Alaska'. Nate is the owner of Turner's Alaskan Adventures, a small family hunting business that he operates annually, employing neighboring trappers and other remote bush residents as assistant guides. Nate has been providing guided hunts as a Registered hunting guide for last 15 years and has continued to work as an assistant guide himself for the last 18 years. He is a member of the Alaska Trappers Association and the Alaska Professional Hunters Association and holds a private pilot license. Stosh Hoffman was appointed to the Board of Game in 2008 by Governor Palin. Stosh is a lifelong Alaskan. He was born in Bethel, raised in McGrath and now lives in Bethel, Alaska. Stosh is an experienced assistant guide and commercial fisherman. 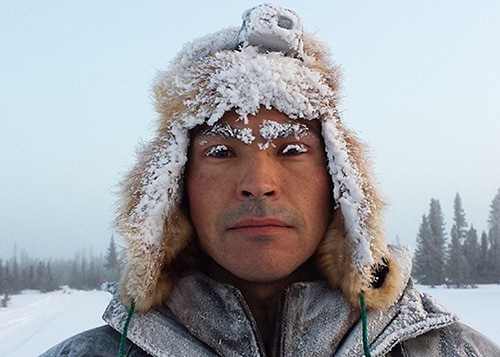 He is employed by the Yukon-Kuskokwim Health Corporation as Director of Corporate Facilities. Stosh attend the University of Alaska, Anchorage. Stosh enjoys hunting and fishing with his wife and two young sons. Larry Van Daele was appointed to the Board of Game by Governor Walker in 2017. The son of an Air Force fighter pilot, Larry lived the nomadic life of a military kid, hearing stories of Alaska from his father after his deployments to King Salmon and Galena. He first came to Alaska in 1977 and started work with the Alaska Department of Fish and Game in 1981 after earning bachelor's and master's degrees in wildlife management. He and his wife Hilary moved to Kodiak soon thereafter, and now along with their son Matt and his family, they consider it their home town. 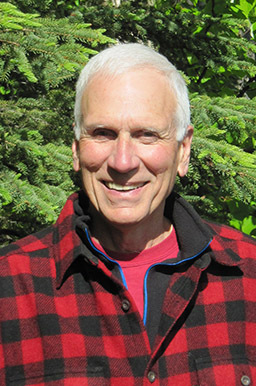 During Larry's 34-year career with ADF&G, he was the area wildlife biologist in Dillingham and Kodiak, spent time as a regional wildlife biologist and regional supervisor in Anchorage, and he was able to earn a PhD focused on the management of Kodiak brown bears. As co-chair of the IUCN North Asian Brown Bear Expert Team, Larry has made numerous trips to Scandinavia, Japan and the Russian Far East. Wildlife has long been an integral part of the Van Daele family, as they hunt, photograph, observe, and share what they can with others about Alaska's tremendous natural resources. Karen Linnell was appointed to the Board of Game by Governor Walker in 2016. Karen is a long-time resident of the Copper River basin. A lifelong subsistence hunter and fisher, Karen	has over a decade of experience working on fish and game management issues in her region. 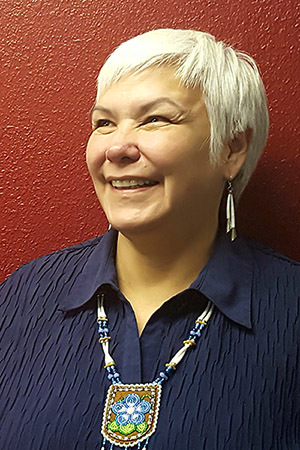 She is a current board member of Ahtna, Incorporated, the Executive Director of the Copper River-Ahtna Inter-Tribal Resource Conservation District, and Chair of the Wrangell-St. Elias Subsistence Resource Commission. Additionally, she has served on the Copper River Basin Fish and Game Advisory Committee for over eight years. Tom Lamal was appointed to the Board of Game by Governor Walker in 2017. Tom was born and raised in Wisconsin and attended college in Denver, Colorado. He moved Alaska in 1971 and currently resides in Fairbanks. Tom has had several jobs that have given him the opportunity to see and live in several parts of Alaska. In the early 1970's, he surveyed remote airstrips for the Division of Aviation. During the pipeline era, Tom worked staking the haul road from the Yukon to Prudhoe, surveying on remote defense sites and airstrips in the Brooks Range. Tom spent many seasons commercial fishing. He worked on a seine boat in Southeast Alaska, drift netted in Bristol Bay, fished a Lower Yukon River drift permit, and a Norton Sound herring permit out of Unalakleet. Tom taught school in Fairbanks for 16 years, which allowed him to keep active in commercial fishing, and to facilitate the hunter education program in the schools. Tom is a life member of the NRA and the Wild Sheep Foundation and belongs to several other outdoor organizations – Ducks Unlimited, Pheasants Forever, The Fairbanks Retriever Club, Resident Hunters of Alaska, Ruff Grouse Society, Alaska Airmen's Association, AOPA, Alaska Waterfowl Association, Clear Sky Sportsman's, etc. He was president of the Fairbanks Retriever Club for six years, on the board of the Alaska Outdoor Council and Resident Hunters of Alaska, and a director on the Fairbanks Advisory Committee. Besides hunting and fishing, Tom and his wife Kate, his best friend and hunting partner, enjoy retriever training, rafting, cross-country skiing, flying and gold mining in Alaska. Jerry Burnett grew up in Washington State and moved to Juneau, Alaska in 1981. Jerry and his wife have lived in Juneau since then. Jerry grew up hunting (his mother taught him how to shoot at age 6) and fishing with his father and five brothers. He is retired from the State of Alaska where he was a director and deputy commissioner at the Department of Revenue for a number of years. He has long been involved with Fish and Game Management issues in Alaska having served on the boards of the Alaska Outdoor Council and Territorial Sportsmen. He and his wife own and operate Encounter Charters, a fishing and wildlife viewing business.